This is part of a sponsored campaign with McDonald’s®. All opinions are my own. A few years ago Ronnie and I were conducting a parenting workshop in Peachtree City, Georgia. A portion of our speech focused on creating family memories and we asked the audience to share their most memorable moments with us. These were the moments that still make them smile when the mere thought comes to mind. You may be surprised to find that none of the memories included trips to theme parks or exotic locations. Instead the memories were things like, wearing daddy’s shoes after he came home from work, mommy doing hair on a Sunday night or having fun during a family fun night at home. You only have your kids for a short period of time in the long scheme of things. So, it’s important to make the most of the time that you have with them. Spending not just time, but quality time as a family, are the memories that will last a lifetime. Have a family meeting where the kids can get involved and feel like they are a part of the process. Ask them what ideas they have for a family fun night and what they would like to do. Whenever we have a family meeting, I always leave surprised by the ideas that our youngest daughters come up with. Pool ideas from your siblings, friends and neighbors. 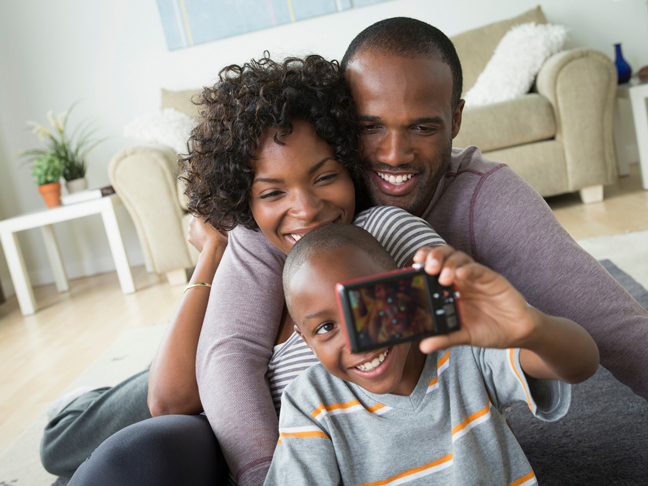 Find out what their kids enjoy doing for fun at home. This may give you a few ideas that you or your family have never thought of. This one feels like cheating, but you can definitely use social media to discover new ideas for how to spend your family fun night. A quick search of sites like Pinterest can reveal an endless stream of ideas that cover any interest. While games like Just Dance on the Wii can be a ball, there’s nothing wrong with exposing your kids to old school fun. Jumping rope, playing cards or falling all over each other during a game of Twister are all ways that you can have fun without wi-fi! Even though you may eat together every day, incorporate everyone into preparing a meal. Try something that you normally don’t eat and make everyone responsible for some aspect of the meal. Bonding over food is definitely a great way to create memories and to start new traditions as well. These are just a few ideas on how you can generate ideas for family fun night in your home. The important thing is to remember that it’s all about family and enjoying time together. Disclosure: Thank you to McDonald’s® for sponsoring this post and for always being there over the years when I’ve needed to focus on what really matters. All opinions are my own. This article originally appeared at BMWK. Lamar and Ronnie Tyler make up the husband and wife power pair behind Black and Married with Kids, the largest independent African American marriage and parenting site on the web. 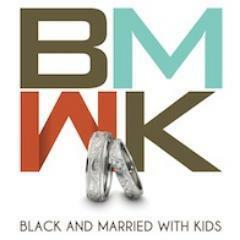 Fed up with the pervasive negative images of black marriage in the media, Lamar and Ronnie started the site to combat the negativity by focusing on positive messages about marriage in the black community. Armed with a passion for empowering married couples and a knowledge of how to leverage social media, Ronnie and Lamar have in five years taken Black and Married with Kids from a small personal blog to an international brand under their own Tyler New Media umbrella that also boasts four independently produced films and a social media presence that includes over 325,000 Facebook fans.